It’s been a few awesome months building MyBlogU and the community behind it. And we already have quite a few happy members! This article will share some of our happy campers’ comments, what they love about the platform and what section they had most success with. Ultimately, we’ll use some of the quotes on the re-designed home page! Jeevan Jacob John @DaringBlogger Ideas. Community. Awesome! Just mix these words in any order and you get a small flavor of what Myblogu is about! A community based on ideas! Where else can you ask a random stranger to share their ideas (an expect valuable information)? Ideas is just one aspect of it. Building new relationships is another. Sure, other outlets such as social media sites may allow you to communicate, but in most cases, they serve as distractions (or mere means of saying thank yous for following/sharing, as supposed to actual conversations). Sharing ideas.. now, that’s a true conversation. We talk, we share about things we know.. and that just makes building the relationship that much easier. Thanks to Ann for starting such an amazing community! Anna Fox @manifestcon This is very simple! Go ahead and check my blog. Do you see comments on any blog posts? Then this is most surely MyBlogU-crowdsourced content! If I use MyBlogU members’ quotes, I see 10 times more shares and comments than on my average blog article. MyBlogU is the first community in my life that helped me to actually see the real results! Before that I was just blogging to myself: I had no idea how to actually get someone read and share. MyBlogU made me feel I have a real blog with the real community! Don Sturgill @DonSturgill Time. There’s never enough day in the dream. My constant challenge is to accomplish at least a few most important tasks daily. MyBlogU is like having a co-writer who gathers interviews and gets them ready to publish. I can produce valuable content in far less time. And (best of all) I get to learn from the experience of others in the process! When Ann first began talking about MyBlogU, I couldn’t quite grasp the idea. Now that I have worked with the tool to produce interviews and meet other kindred souls, the value is apparent. From interviews, to collecting ideas, to networking with those who may need your services, to getting you ebook or infographic out in front of potential customers and clients, MyBlogU is a time magnifier… and that is exactly what I need. David Leonhardt @amabaie Just as every team needs tools to collaborate across vast distances, so does every collaborator need a team with which to work. MyBlogU is a platform that provides that team for content collaboration on a moment’s notice. I have used MyBlogU to find collaborative content for my own blog. I have even more often used MyBlogU to share my own experience and views when others have needed collaborative content for their blogs. MyBlogU has helped me reach out and participate with more fellow bloggers that I am not already talking to on Skype than any other tool, and I check to see what’s on tap every day. David Trounce @MalleeBlue MyBlogU answers the perennial question, “Where can I find unique, high quality content for my online audience?” The answer is in the easy-to-use system of content collaboration tools on MyBlogU. I have been creating content for the e-commerce industry for years. After a while, you start to lose the freshness that your clients insist upon. MyBlogU allows me to collaborate, interview, ask questions and get a contemporary take on all kinds of subjects from a variety of industry professionals. It’s brilliant for finding content ideas, generating interest in your own work while also contributing to the work that others are doing. Since joining MyBlogU I have never been short of a new idea for creating good content. On the contrary, I can’t write fast enough to keep up with all the great content ideas! Matthew Gates @OneTru Conscious When I first signed up for MyBlogU, it had been months before I really began to explore the website and see what it could offer. Before MyBlogU, I had been using MyBlogGuest to receive articles. I began answering questions on MyBlogU which felt very rewarding, especially after learning that someone likes your idea and uses it to help them in furthering their own projects. I decided to make a request myself: I had been wanting to start an Interview section on my website, and while I could gather a few interviews here and there, they were time consuming to email back and forth. With MyBlogU, I posed the questions, and I got answers within a few hours. My interview section is a knockoff and very popular, as it seems like a more personal article than just an objectively or subjectively written article. MyBlogU also shares its content with ViralContentBuzz and encourages sharing amongst its users, which helps not only me, but others I interview to gain a great amount of exposure. I love this website and I love the idea of brainstorming.. who would’ve thought that so many people could offer perspectives I could never see? I also feel great that I contributed to helping others when I share my ideas on a brainstorm. Greg DiVilbis @GregDiVilbiss MyBlogU has been a blessing to me. I have been writing off and on for a while on my blog but really did not have a lot of direction. When I found MyBlogU I was able to find other bloggers some with more experience some with less but all with the desire to take their blogs to the next level. This has allowed me to find qualified people to interview and I myself have been interviewed regarding my expertise and featured in articles. The other thing is with this community I set some goals that I wanted for myself and have found the support (and accountability) that has helped me focus on my goals one of which is to write regular blog posts. I am so appreciative of Ann Smarty who is the founder of this community and tool I can not truly express my appreciation. * I received lots of ideas that I loved for products and coaching packages to offer from my blog. * I felt encouraged and validated that what I have to offer is valuable. * I connected with wonderful people outside my usual circle and I probably wouldn’t have met them otherwise. * 3 out of my 5 most shared posts in the last year have been created using MyBlogU. Deepanshu Gahlaut @Dpanshu Gahlaut I’ve been using MyBlogU for more than 6 months but more active since December 2014. I would say that this is the first platform I’ve used on the Internet for content marketing, collaboration and authority building – All in one place! This is a great way to gain authority, backlinks for your website and connection with like-minded people. For me, no tool comes close to provide the opportunity to create awesome content and get cited! 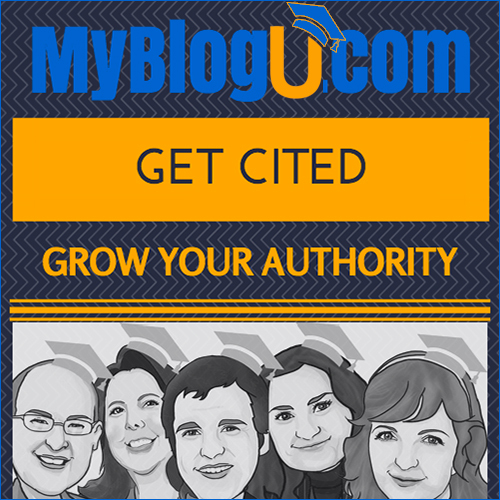 This tool is really worth a try for all who are looking for crowdsource your epic content and want to get cited. Thanks MyBlogU! Cleverpedia @cleverpedia Cleverpedia launched our first infographic, the 2015 Kindness Challenge over the course of the January MyBlogU Challenge. It was timed to appeal to people making New Year’s Resolutions and those participating in Random Acts of Kindness Day (February 17!!). I asked the community for suggestions for where to submit the infographic to try and gain placement, and got many amazing suggestions including big Facebook groups, Google+ groups, and happiness blogs. I shared the infographic in the MyBlogU infographics section. I got great results with the help of the MyBlogU community! The page with the infographic on Cleverpedia was shared over 100 times and hundreds more times across the websites of those who shared the graphic. I got lots of referral traffic and new Facebook fans through these suggestions and a round of outreach. I’ll definitely be tapping into MBU for future infographic promotions! Angela Alcorn @Angela Alcorn MyBlogU is absolutely the easiest way to co-ordinate interviews. Just ask your interview questions and people who fit the bill will automatically find your interview, fill it out and submit their answers for your use in blog posts or wherever. You can decide which of the respondents to accept or ignore, and all the important data about who they are, their website and picture are brought in for you. It’s incredibly simple! Once you get the hang of it, there’s no turning back. It will help you to generate content in no time at all, and you can also brainstorm ideas to make your blog even better. What more could you want? KenS @Ken Shenkman MyBlogU.com is truly an amazing resource for bloggers. In my first month using it I got dozens of good content ideas for both my business and personal blog. I also got to tap the brains of other bloggers to get some killer post titles and even got fresh content for new posts directly from other bloggers. They also have a database of bloggers you can contact to help provide content when you need it. All this, and the site is still in its infancy! I can’t imagine how much more there is to come, but I really look forward to it. Alex Yong @ggSolutions 123 The way MyBlogU is set up is really smart, intuitive. Exchanged info is at your fingertips – To access it, just go to the correct section – Either brainstorms or interviews. It’s nice that brainstorm contributors can’t see other people’s answers before or after answering (until an interview is live published). Sometimes we let the opinions of others affect what we say, so the way MBU is set up, you’re forced to think on your own in order to provide value to someone. Phil Turner @EP_pturner “MyBlogU.com is proving a great way to continue to build my reputation. I have been offered writing jobs because of my high MBU points score in the MBU Writers’ Index. I have also made valuable friendships with people around the world by contributing to their MBU brainstorms and Interviews. Tim Fehraydinov @Texterra_ eng I’m a newbie to MyBlogU, but I have already achieved something – with help of MBU interviews, I got mentioned on an extremely popular website in my niche. In addition, I helped some people with their brainstorm projects. It alway feel great to know that you helped someone. Philip Kleudgen @restacover MyBlogU can be a very powerful tool, especially if you use it on a regular basis. I participated in several brainstorming rounds and also did some interviews. Although not every submitted answer gets accepted it resulted in some powerful links and some traffic. For example last week I got a link from a DA85 blog I had never gotten otherwise. On top of that you are able to connect with other bloggers over time, learn from them and exchange ideas. Sometimes they also link to you outside of MyBlogU or share your content on Social Media. On top of that I was able to crowdsource a pretty successful article about local SEO for my blog without writing the content myself. 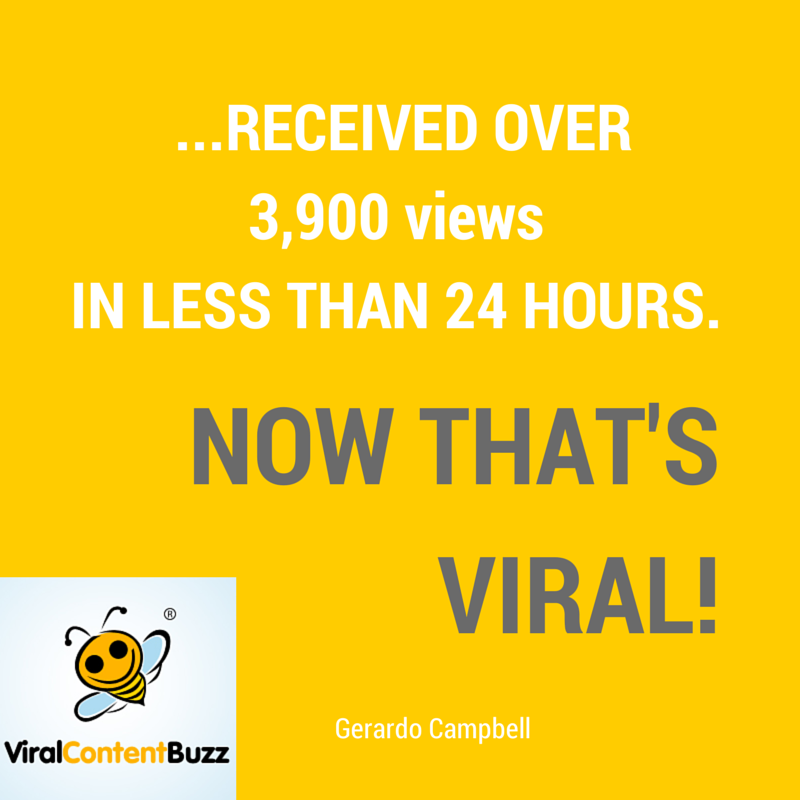 Many experts contributed to that piece of content and my readers loved it -win win for everybody! I really love MyBlogU. There are a number of services that promise similar features but none deliver the same way as MyBlogU. Not only does it put you in front of great bloggers looking for comment for their articles, resources to reference or help on a certain topic outside of their usual remit but it has also helped me get a number of great ideas for my own blog. I recenlty just signed up for MyBlogU looking to be a expert source and only after one day, I had my interview published. Plus I have another interview that should be published shortly. I couldn’t ask for an easier site to be an expert source and actually get published. I can’t wait to find more great sources and help share my ideas with other memebers. If you’re looking for a place to find sources to get published, share ideas, ask other members questions and a whole lot more, then you should check out MyBlogU and find out for yourself. MyBlogU is a great way to get inspired, share success stories and spread the content creator’s word out there. The Brainstorm section is best to gather new ideas for upcoming blog posts and understand what others might struggle with as well. The Interview section is the perfect way to collaborate with other writers, give your expert opinion and of course, be promoted on their blog. It goes both ways, as in return I have content to share. However, the best section for creators is the Media section, for all the impressive things they have achieved. Nobody likes to read how people brag about themselves, but if others acknowledge your success story, it is worth so much more.